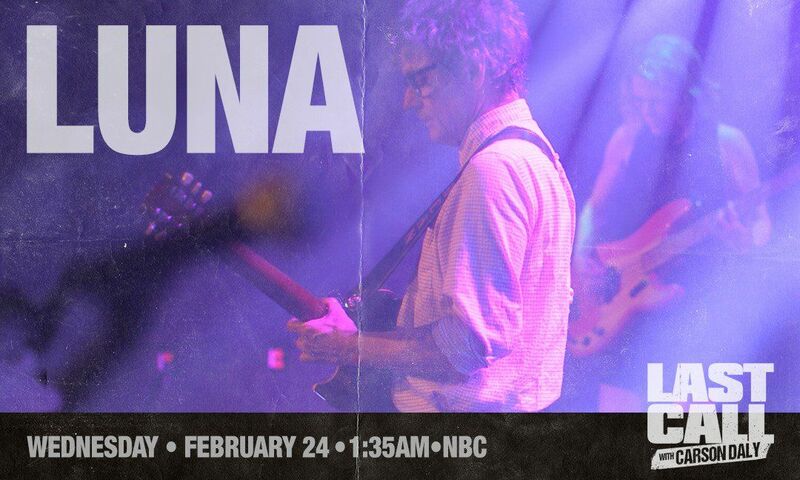 Video of Luna's two appearances on TV show Last Call with Carson Daly is currently being shared on bittorrent site Dimeadozen. One of the band's shows at The Teragram Ballroom in Los Angeles in October was taped and shown later on two shows. Malibu Love Nest and Friendly Advice in November and Bewitched and 23 Minutes in Brussels in February. Download the video from DIME. You need to be registered and approved before you can download from Dimeadozen - find out more.